A works-supported Chevron GR8 is to compete in the 2011 Avon Tyres British GT Championship, the Cheshire-based sports car manufacturer confirmed yesterday. The announcement came at the Autosport International show, where the latest specification of Chevron’s mid-engined 2-litre GR8 was unveiled. The car will be driven by ex-BTCC racer and Le Mans driver Anthony Reid and talented youngster Jordan Witt, and will contest the championship’s GT Cup category. 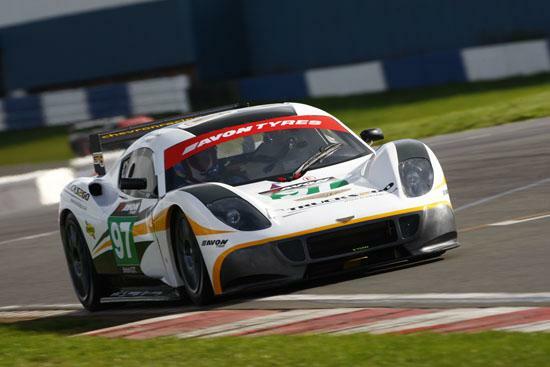 Reid – with co-driver Chris Hart – gave the Chevron a stunning British GT debut in October, the GR8 finishing seventh overall and a runaway class victor in the season-closing two-hour race. Reid brings a wealth of experience and chassis development expertise to the project. The 54-year-old Scotsman won the Japanese Formula 3 Championship in 1992 and was British Touring Car Championship runner-up in ’98. Among his many sports car successes was third overall in the Le Mans 24 Hours in 1990. Twenty-year-old Witt, from Cheshire, enjoyed a remarkable first full season in motor racing in 2010, scoring four wins and five second-place finishes in the inaugural Chevron GR8 series, as well as winning the Class B championship title in the Sportmaxx Production Cup. Chevron Racing Cars hopes that competitors in its own Chevron GR8 Challenge – which gains championship status in 2011 – will join the works-supported machine on the British GT grid. “Teams and drivers competing in the Chevron GR8 Challenge have the option of running in other championships, like British GT,” said managing director Helen Bashford-Malkie. “The GR8 is designed as a low-maintenance proposition, so in prospect is an entertaining season’s racing at comparatively modest cost.